Earn $26.24 in VIP credit (2624 points)What's This? 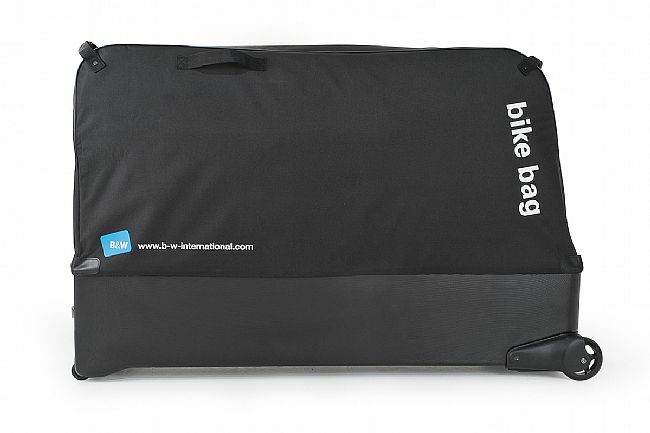 The B and W International Bike Bag is a combination of bike bag and bike case: bottom made of ABS merges into a bag made of padded nylon. 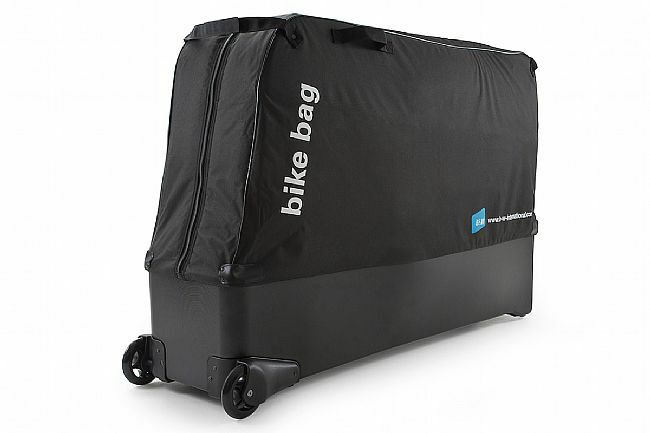 This versatile, durable travel essential is suitable for the transport of racing bikes, triathlon bikes and mountain bikes – even 29ers. 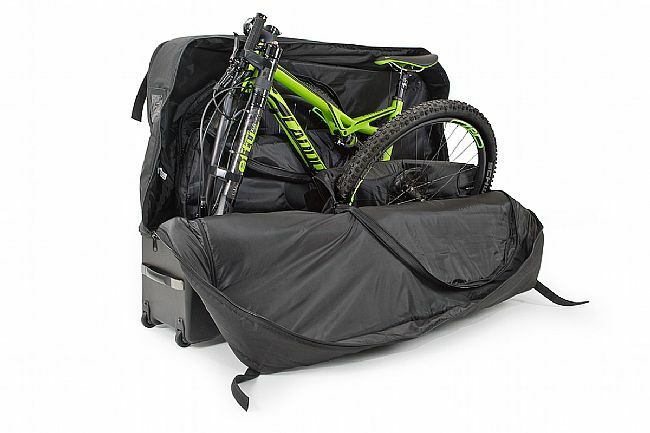 Keeping the bicycles safe, the Bike Bag features an internal anti-shock-frame (a-s-f) for a secure fixation of the bike frame in the bag. Outside, 4 free-running caster wheels allow for effortless transportation when on foot. The additional carrier straps and pilot handle make for easy navigation, even in tight corridors like train stations or bus stops. Internal Dimensions (length, width, height): 50.4 x 32.3 x 10.6 inches. External Dimensions (length, width, height): 52 x 33.1 x 15.4 inches. Weight without package: 17.1 lbs. It's been on one trip but it protected my bike. It was easy to handle and use.